Trump is coming back to London. I want to receive updates from Stop Trump Coalition. 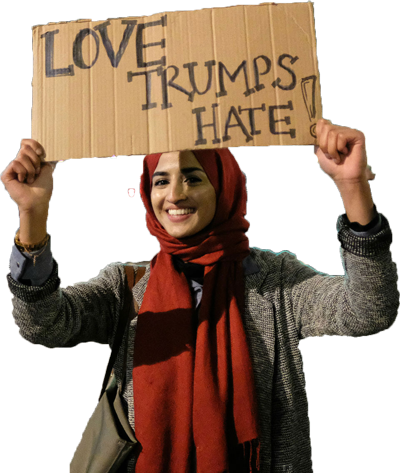 250,000 people marched in London on 13 July 2018 in opposition to Donald Trump’s UK visit – Britain’s biggest demonstration for a decade – and tens of thousands protested in 50 towns and cities across the country. This historic protest made global headlines. A loud, unapologetic, diverse carnival of resistance protested against Trump and the politics of bigotry, hate, greed and division. Let’s keep the carnival of resistance rolling against the divisive politics of Trumpism. Whenever Trump comes back to Britain, we will be ready. Sign the pledge to march above and we’ll keep you updated.